The children often need special nutrition and medication before having surgery at Kumi Hospital (45 kms away) or Corsu Hospital, between Kampala and Entebbe, for more complicated cases. The Centre aims at 25 operations per year (about 15 are funded by FOAG). Subsequently they require crutches, wheelchairs and/or prostheses and physiotherapy. St Francis re-located from Madera to Pamba in 2006. It now comprises : a boys’ dormitory building and one for girls, a new kitchen – diner and a resource centre for vocational teaching of tailoring (dressmaking), taught by Helen (also disabled), who helps to support herself through outside commissions. 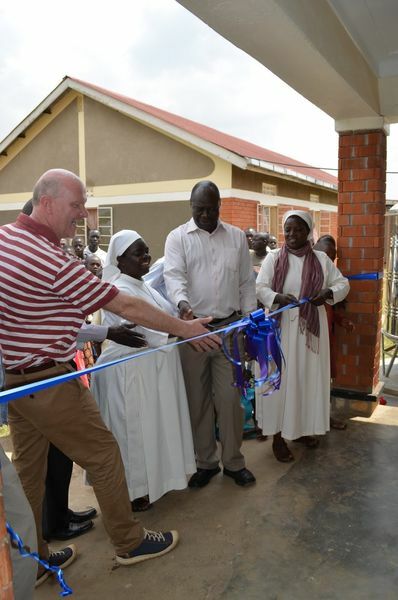 A physiotherapy unit is being built, funded by the Liliane Foundation. There is also a bakery on site (funded by “Bake for Life”) which teaches baking and business skills. At present it employs 18 ex-residents, enabling them to live independently in their own homes. Other ex-residents have returned to their own villages where they endeavour to set up businesses with sewing machines, donated through FOAG. A much needed ambulance / vehicle has recently been provided by supporters of FOAG, including Worcester South and Colwall Rotary Clubs and Malvern College. The children grow food crops for the Centre and they play games, such as football. They attend local schools, only returning to their families in the school holidays. There are also 8 who are at University, supported by the Liliane Foundation. To extend the Resource Centre for teaching Carpentry, also a further extension eventually, for computer teaching. 6 children will go to senior school @ £56 per term each. The Centre rescues children from a wretched existence in their own homes. It gives them “self worth” which their families recognize when they go home for the holidays. 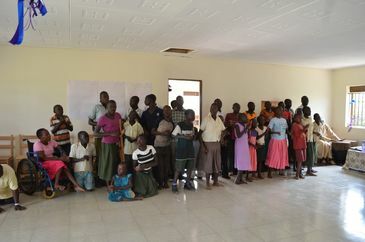 Help is also given to the families learning to cope with a disabled child. 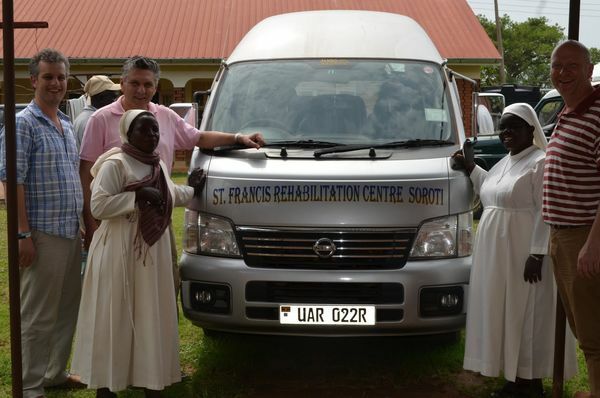 St Francis Centre finds children with various physical disabilities, in need of corrective surgery, arranges for their operations at local hospitals, mainly Kumi, and looks after them and their education including vocational training to enable them to be confident, useful members of their communities . FOAG first visited this Home for physically disabled children, near Soroti in NE Uganda, when it was situated in borrowed buildings at Madera. Now it has its own site at Pamba which involved putting up new buildings to house the children. 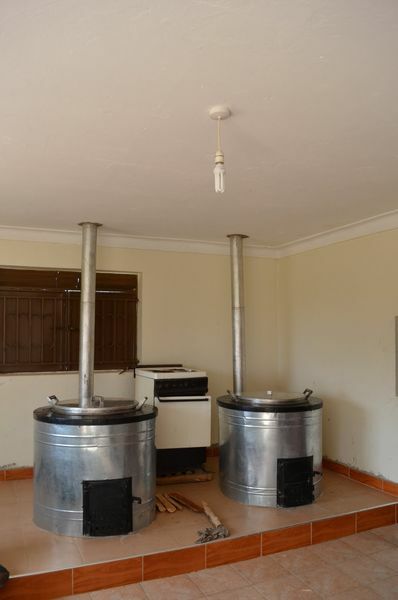 The Home is in the charge of Sister Sophie Akim who has energetically gone about this daunting task, which has also of course required outside funding. The Liliane Foundation, a Dutch charity for disabled girls, has provided funding for living accommodation for boys and girls in 2 splendid brick-built buildings. Another Dutch charity “Bake for Life” has provided a bakery which will give vocational training and, hopefully, an income to the Home.